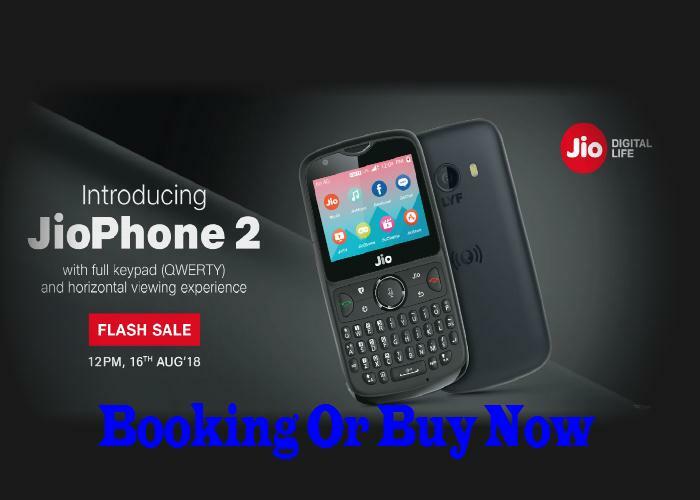 Reliance JioPhone 2 flash sale will open on August 16. The sale will kick off at 12 PM via the company’s official online store Jio.com. 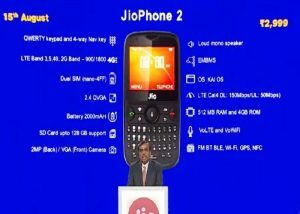 Reliance Jio chief Mukesh Ambani announced the new version for its relatively new smart feature phone lineup during its 41st Annual General Meeting (AGM) in July this year. The 4G-enabled smart feature phone, features a QWERTY keyboard, supports VoWiFi and features such as Google Assistant integration and WhatsApp support. The dual-SIM (Nano) JioPhone 2 runs KaiOS and features a 2.4-inch QVGA display. Under the hood, there is 512MB of RAM and 4GB of onboard storage that is expandable via microSD card (up to 128GB). The phone has a 2-megapixel rear and a VGA front camera. Also, it supports connectivity options such as 4G VoLTE, VoWi-Fi, Bluetooth, GPS, NFC, and FM radio. There is a dedicated button for voice commands that helps you activate Google Assistant while on the go. Besides, the phone packs a 2000mAh battery. The all-new JioPhone 2 has been launched in India for an introductory price of rupees 2999. The phone will be available for purchase on August 16, which is tomorrow. For those who are interested, they can head to Reliance official site Jio.com to purchase the handset. The Jio Phone 2 flash sale will commence at 12PM. Visit Reliance Jio’s official website- Jio.com or MyJio app. Select JioPhone 2 and enter your pincode. Enter your personal details like name, email id and mobile number. Select the desired payment option and pay rupees 2999. You will receive an Order confirmation notification (email/sms).